Welcome to the Radcliff Small Business Alliance . 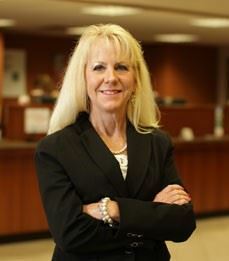 WesBanco VP, Pam deRoche is the membership coordinator for RSBA. PH 270-272-4747 Click here to email her , pam.deroche@wesbanco.com . The Radcliff Small Business Alliance, LLC. The Radcliff Small Business Alliance is composed primarily of Radcliff and Vine Grove’s locally owned independent businesses. RSBA aims to help member businesses compete effectively against chain competitors, maintain a diversity of choice, and to help stop the trend of losing community-based businesses. · to nurture and enhance Radcliff’s proud and passionate community of local businesses. ”Radcliff’s vibrant independent businesses meet unique needs, create and define our community’s culture, and provide stability, accountability, and direct local investment,” first President and founder , TW Shortt is quoted as saying. He went on to say “[that] Radcliff is one of the most diverse communities in Kentucky with a unique blend of many cultures. Local businesses typically generate more than three (3) times the local economic activity of remote controlled national chains, thanks to independents spending more money in the local area, including using more local goods and services such as banking, printing, advertising, legal services, furnishings and more. Through this “multiplier effect,” the added taxes collected from local expenditures provide critical support for our schools, parks, law enforcement and more. ”National chains have a place in a community the size of Radcliff, but we can’t afford to lose the real engine of job growth and economic prosperity- the people who own and help run community based businesses” founding member John Flanagan noted. The Radcliff Small Business Alliance invites all of Radcliff and Vine Grove small business owners to join with them.